The excerpt in the textbook is, well... to be read once and then forgotten. No matter how hard I try, I can't make it any more appealing than it is to my students. But what I could do was to use this extract as an introduction and then go online to the Anne Frank House in Amsterdam. 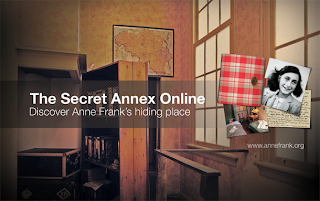 This museum has fantastic resources for teachers, such as timelines, videos, photos, stories. But what my students liked most was the Interactive walk through the Annex. One student volunteered to be our guide through the Annexe - by using the mouse he moved the bookcase and let us in to wander around, explore the attic and listen to the stories from Anne's diary. 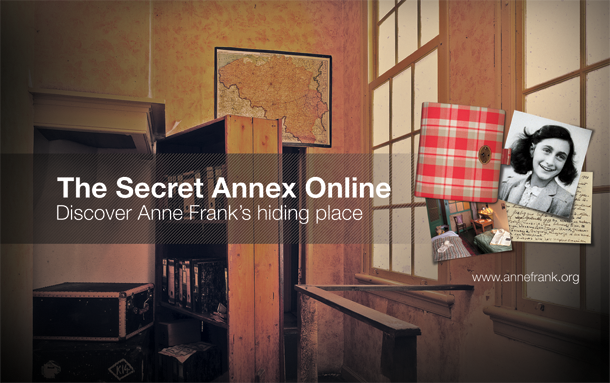 This interactive walk through the Secret Annex did more for my students than any excerpt could have ever done. I could clearly feel how my students felt, how they suddenly understood and appreciated what Anne Frank was going through, how difficult life was for her family, how courageous she was and how she managed to be optimistic under such dire circumstances. This interactive walk helped my students develop their listening skills, they learned some historical facts, they learned that there are resources on the internet that they can use for learning and most importantly, they learned empathy. This is where technology wins over textbooks.